Not because they’re small bags, it’s because the grain size is half the size of the normal soil. And this is useful why? 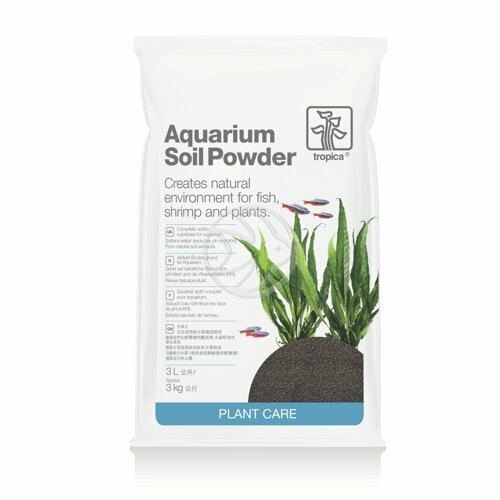 When you place rocks or wood in your tank you want the soil to look as natural as possible right? Right. But the normal sized Flora-Base, whilst being excellent is not the most subtle – by that I mean your eye can be drawn to where the rock or wood meets the soil. Now if you use the 2.5L bag of Flora-Base, the soil grain size is much smaller – less than half actually. So here’s what you need to do. Then, use a 2.5L bag of Flora-Base and pour this where the wood or rock meets the substrate and you’ll suddenly realise why it looks so good. Suddenly the transition is super smooth and it looks very natural. The smaller grain smooths over any cracks and it looks just as nature intended. Of course, you can also use the 2.5L bag for creating a foreground that looks smooth and in nano tanks where the grain size needs to be smaller due to the overall aquascape being smaller. How can I add nutrients under sand? Lots of you have a particular gravel or sand that you like and understandably so. The problem is sand and gravel contains zero nutrients so whilst the plants may anchor down well, they get diddly squat from it. Sure you can add liquid fertilisers, but lets not forget plants absorb from their leaves and their roots. 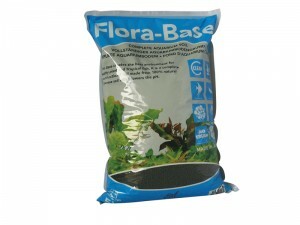 Dead easy to use, just pour the bag on the bottom of your tank, spread it about then top with your chosen gravel. Cool heh?